It is hard to believe just how fast 2018 went by. When you are having fun and doing what you love the time just seems to fly by. In 2018 things just seemed to get even better for me. This year is already shaping up to be a great one. As we usher in the new year I thought that I would post one of my favorite photos from last year. 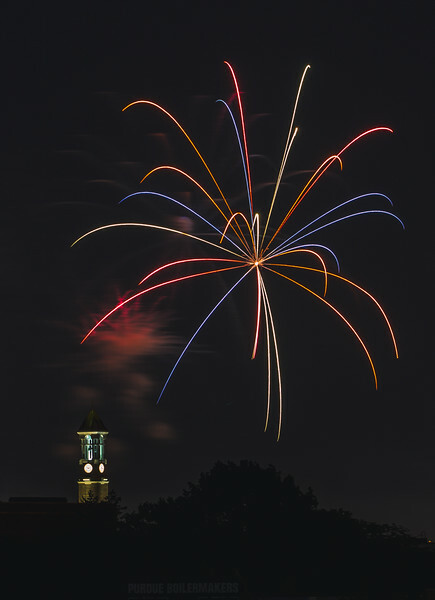 I was nervous that I had not picked the right spot to capture the Fourth of July fireworks over the Purdue clock tower. When the fireworks started I was thrilled that my math actually worked. This simple photo was one of my favorites. This photo came up in my top nine on Instagram. It is hard to believe that I never got around to posting it on the blog. If you want to follow me on Instagram it is easy. You can just click here and hit the follow button. It is the best way to see my favorite images in a timely manner.